1. Entrance Requirement: Applicants must have a three-year university degree (Master candidates) or a two-year university degree (doctoral). 2. English Language Requirement: Applicants must have a thorough knowledge of the language of instruction. 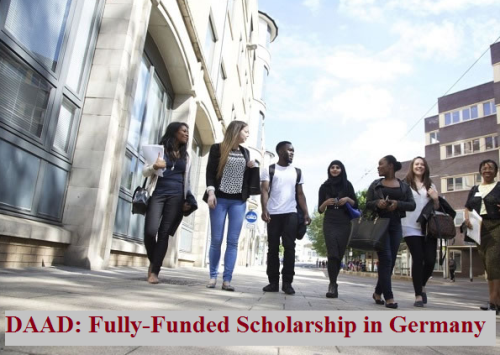 All the information about DAAD In-Country / In-Regions Scholarship Fully-Funded for Sub-Saharan African Students has been delivered nicely; interested and talented students who are eager to pursue their Free Tuition/Scholarships/Study in Germany for Undergraduate, Bachelors, Postgraduate, Masters, PhD, Associate Degree and Other Degrees, can apply now. Labels: Africa Scholarships, Doctoral Scholarship, Europe Scholarships, Germany Scholarships, Master's Scholarship, Scholarship.